Well here we are again, it’s Monday and you know what that means..International Chest Day! Even if you are not doing chest today, check this article out or come back to it when you do have chest day because I am about to deliver 3 tips we don’t always think about to add a change to your chest day! TIP #1) Incline dumbbell bench press is easily one of the most popular lifts on chest day and that is good for many reasons. If you want a strong bench, one thing you will want is a strong upper chest. By developing the upper pectoralis muscle, you will have more of a “full” looking chest. This will also target the deltoids as well as triceps. The big thing we all forget to take advantage of is the many different angles of which the incline bench has to offer. In this picture below, you can see the adjustable holes below the back rest and seat of the bench. These can be adjusted to not only fit multiple body types but hit different angles of the chest. The higher you prop it up, the more you will target the upper chest. The lower it is toward the ground, the lower the muscles being worked. Try switching it up every workout! One week go higher then the next go a little lower. 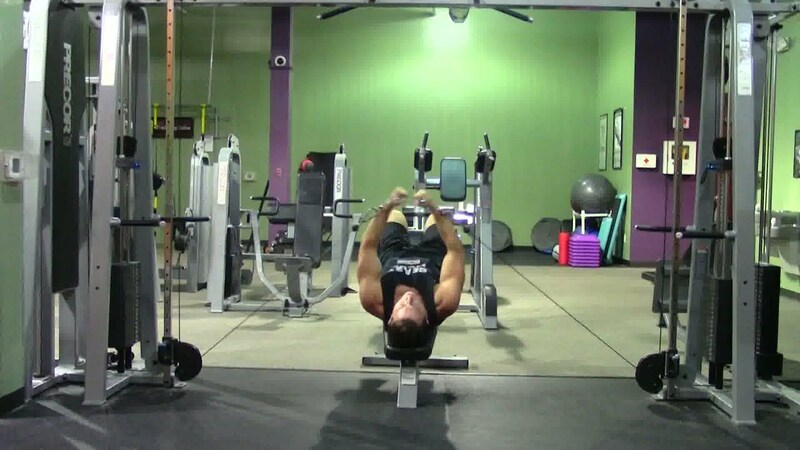 TIP#2) Using cable flys on a bench instead of Dumbbells. A lot of people want to do this exercise but do not want to pull the bench all the way across the gym and set it up into the cables. I understand it can be a harder process to set up but you will most definitely get a great difference in your training. With dumbbells, you only fight the external force of gravity from the gravity pulling the dumbbells straight down to the floor from whatever the weight is. This means at the top of the fly, you basically get a rest. Now with cables, you are fighting the external force of a machine pulling back with CONSTANT RESISTANCE from whatever angles the cables are set. This means when you perform the fly movement, you are getting a resistance force throughout the whole range of motion even the top because the cables are pulling in the opposite direction! This is definitely an exercise I would recommend on chest day! TIP#3) Close grip bench to spare shoulder pain. It is not uncommon to hear about shoulder pains when benching. It is more than likely a rotator cuff or an AC joint problem. When performing a wider grip on barbell bench press, you are opening your rotator cuff muscles which is one of the most common shoulder issues people run into during bench press. If a wide or even normal grip bench press puts excessive pain on the shoulders then move the grip in a tad for a close grip bench. This will reduce stress on the anterior and posterior deltoids. I would place the hands just inside shoulder width as the picture below shows. This will also give you more powerful triceps for your bench press. This is my 3 mind blowing tips for chest day! Try some of these suggestions out and see how they can add a change to your workout! !